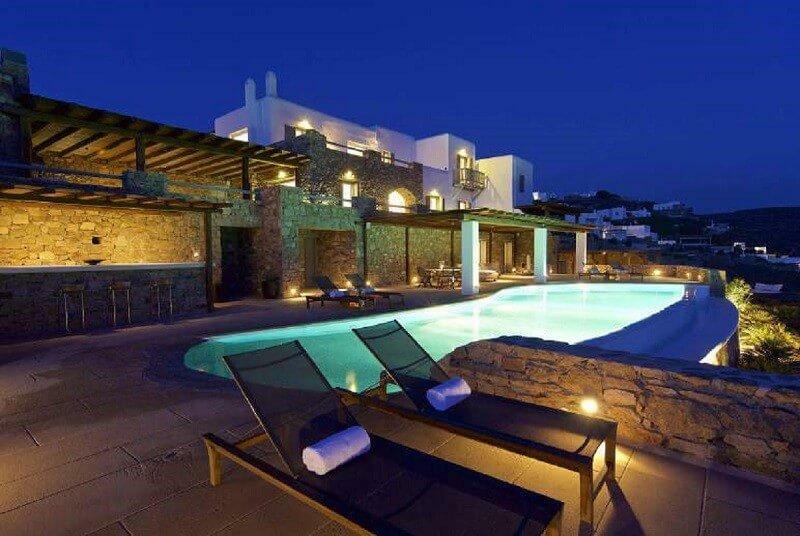 Welcome to Aegean Gold , the luxury Mykonos villa , guaranteed to offer you the holidays of a lifetime! 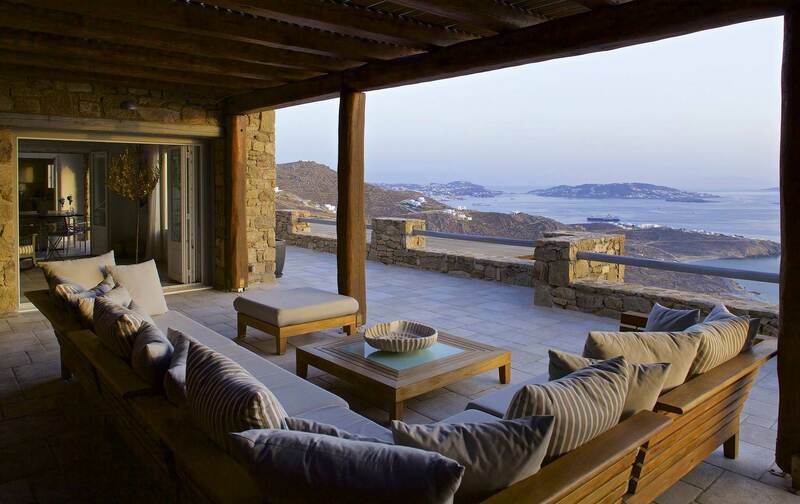 It is located in Houlakia, only 1.5 km from the beach and 5 km from Mykonos town . 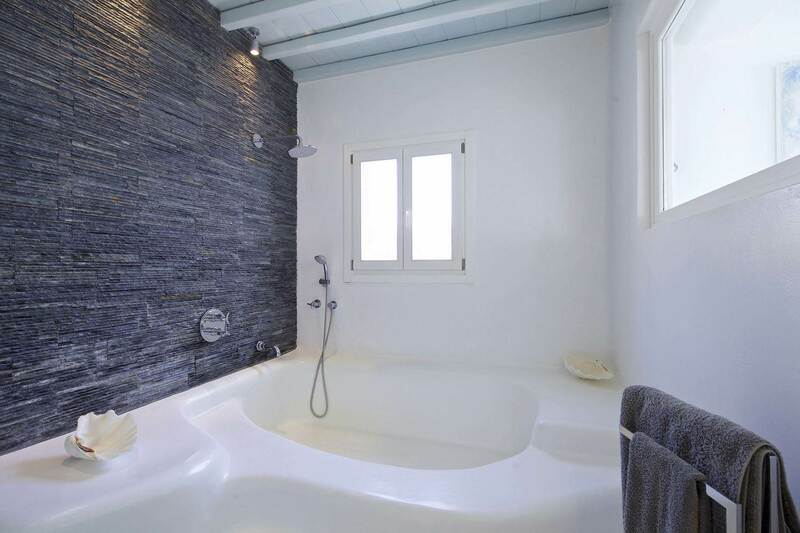 The area is perfect as it offers both total privacy and wind protection . 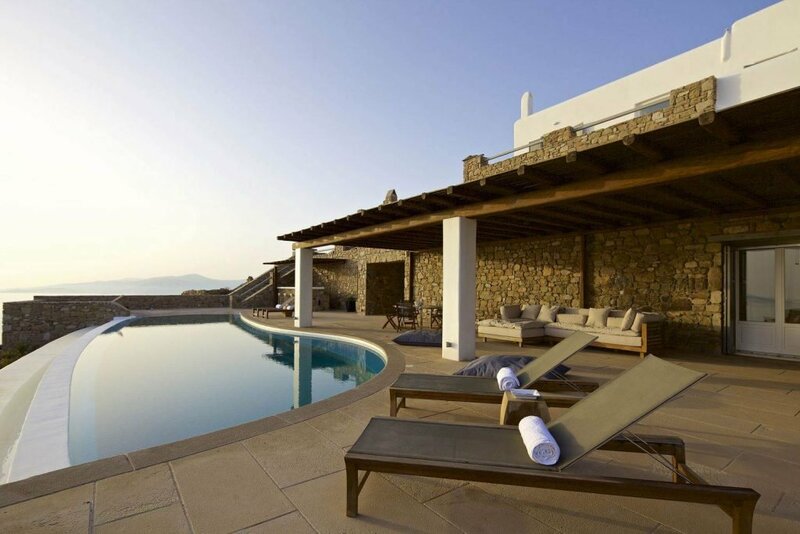 Get ready to enjoy unobstructed view of the sunset and sea from the pool terrace. Your Instagram will be on fire! 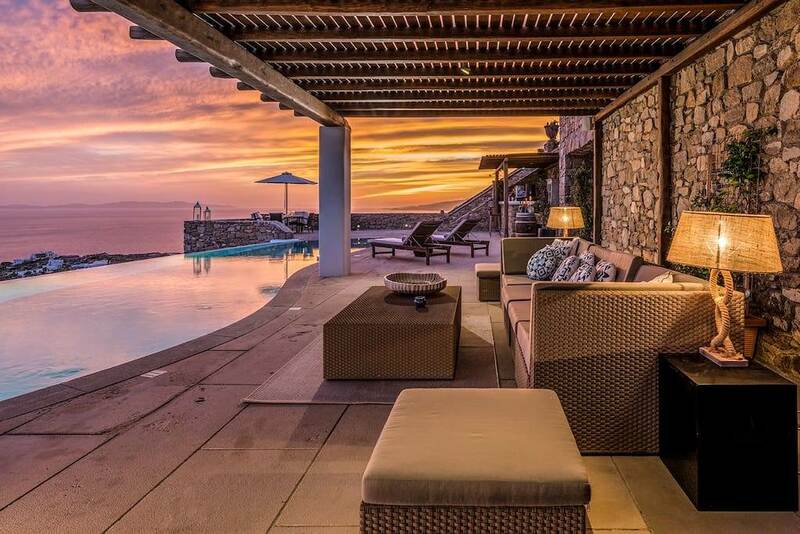 The luxury villa can either host 10 guests in the main building or 18 guests in the main and the guest house; 9 bedrooms with en-suite bathrooms, private gym, infinity pool, bar and BBQ and that is only the beginning. We can’t think of a better spot to reunite with your friends or college mates! Aegean Gold is ideal for events of any kind. It can host parties and cocktail nights of up to 200 guests that want to dance the night off. Also , if you are planning your wedding venue in the cosmopolitan island , it can be used as a romantic wedding venue that can seat up to 120 guests. 3 bedrooms, each with king size bed, en-suite bathroom, A/C, ceiling fan, hairdryer, 2 of them with sea view and direct pool access. Separate building with gym equipment.